Our passion is to help those who use fitness to better themselves. We specialize in helping our dedicated fitness community move past injury and limitations. We heal with our hands and advice. We are authorities in this field and passionate about making it better place for our community. 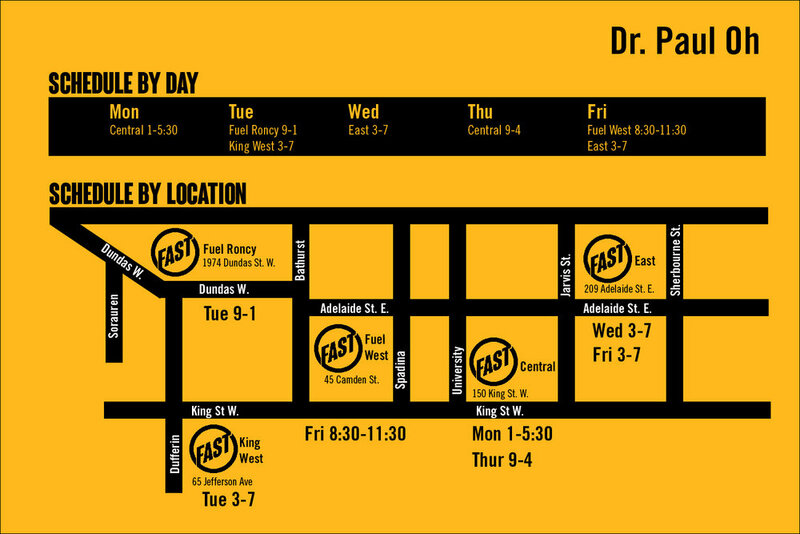 1974 Dundas St. W. - Dundas St. W. & Sorauren Ave.
Benedict is a Registered Massage Therapist (RMT) as well as a competitive powerlifter. Benedict's goal is to combine his passion for strength training and his skills as a RMT to help athletes be pain free and stronger. 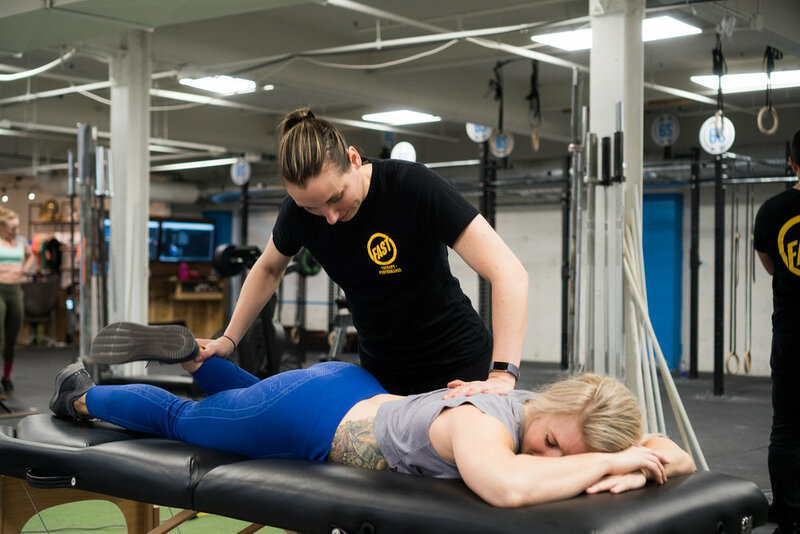 Massage therapy can be used as an effective tool to release tight muscles from injury, stress or just from a lot of training. Benedict San Juan is the recovery specialist at OHFAST. He is a skillful registered massage therapist (RMT). Benedict is also accomplished powerlifter and understands the stresses from your training. Benedict is a Registered Massage Therapist and powerlifter. He understands training and how to optimize recovery from your training. When you get injured it STOPS your training. Our experts define the causes so we can use the best therapy tools and give you the right recommendations. Our plan involves manual therapy, exercise and movement coaching. We aim to alleviate your fear of re-injury and get you back to your training. When your training stops progressing it can be FRUSTRATING. Our experts ask better questions and complete a comprehensive assessment to reveal your limitations. We create a plan to fix your deficiencies, give you strategies to succeed and take you to the next level of your training. Class 4 Laser. Not your average laser. Laser can be the solution to many problems. Class IV K-Laser Therapy is proven to biostimulate tissue repair and growth. The K-Laser accelerates the healing process by decreasing inflammation, pain, and scar tissue formation. In the management of chronic and acute pain, Class IV K-Laser Therapy can provide dramatic results. A New, Non-Surgical, Drug-Free Treatment option. K-Laser, also known as High Power Laser Therapy, targets damaged tissue with speci c wavelengths of light that have been found to interact with tissue and accelerate the healing process. 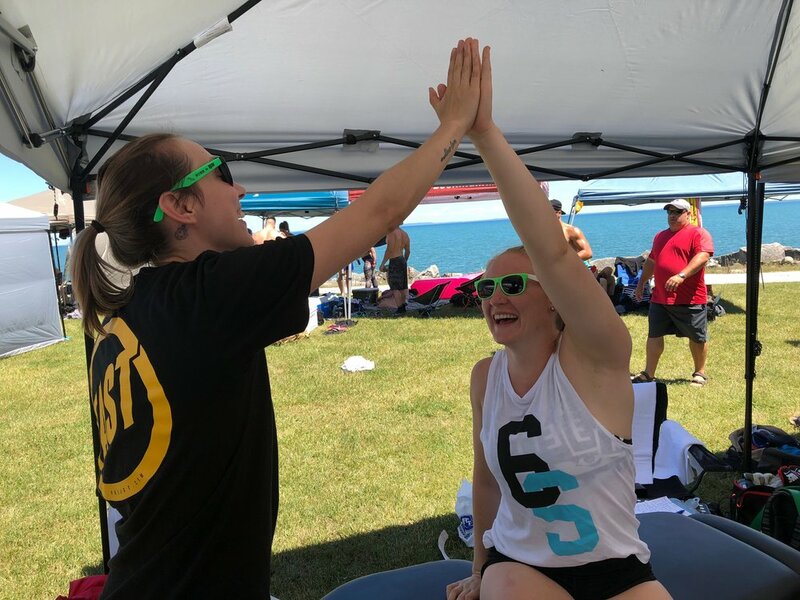 The OHFAST Performance therapy team was part of Team Vellner for the 2018 CrossFit Games. Pat won a SILVER Medal! OHFAST Performance therapy team was also a part of Team Vellner for the 2017 CrossFit Games. Pat was a BRONZE Medalist for the second time! Benedict is a RMT, powerlifting coach and powerlifting competitor. We understand the training, movement, sports and CrossFit. We specialize in working with training and athletic populations. See Photos from meeting the masters, conferences and events. See videos on our therapists training and instructions on exercise.